3.BASIC INSPECTION Check the operation of each part. Check that any symptom occurs other than the interviewed symptom. Perform the self-diagnoses with CONSULT-III. Check that any DTC is not detected. Erase DTC if DTC is detected before the repair. Check that DTC is not detected again. Is any or malfunction result or DTC detected? 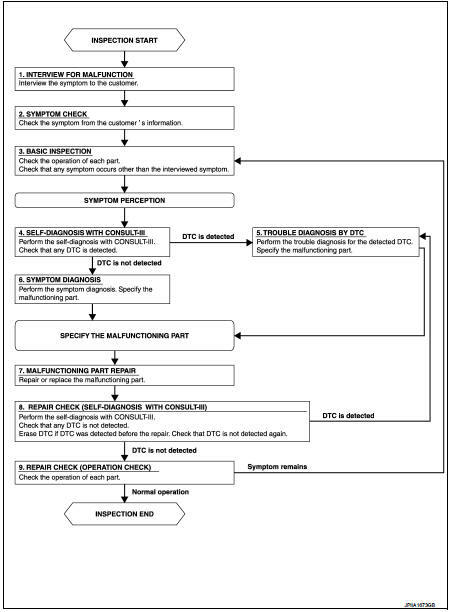 YES >> If DTC is detected, GO TO 5.